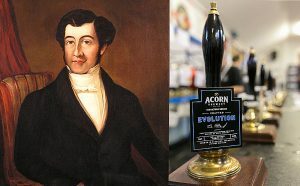 What did Joseph Bramah – one of the Best of Barnsley – invent? Just do a bing image search to see the range of things that Joseph Bramah invented, not forgetting the beer pump. Thanks Doctor Ale for reminding us. The talk by John Bramah – ‘Bramah – a tradition of engineering’ – at the Cooper Gallery on Monday 19 March at 7pm is coming up soon. Thanks to the South Yorkshire Industrial History Society and Barnsley Council for arranging the annual Bramah lecture.